Davide Cassani is ready to lead Italy in 2016. The Italian national coach made his debut in 2015 and will have his first job at the Tour de San Luis where he kicks off a busy season loaded with commitments. La Gazzetta dello Sport asked Cassai to take stock of the current situation in Italian cycling. "Overall, it was a decent season for Italy,” he told the Italian paper. ”If we think of the stage races, it was excellent. Aru’s victory in the Vuelta after finishing second in the Giro is of enormous value. Nibali still finished 4th in the Tour. Not all years are equal and he has also been unlucky. 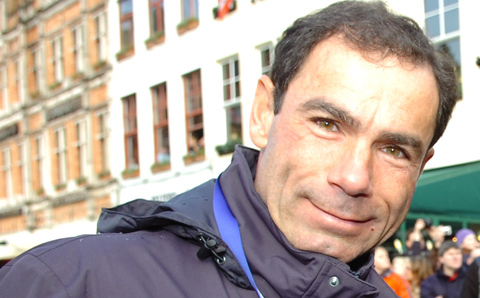 Speaking of goals for next season Cassani has confidence, especially for the Olympics. "Without doubt, we have more cards at the Olympics because the route is very hard and we can rely on Nibali. Aru will be at his side and roughly I already have selected the other three. From January 11 to 14, we will go to Rio to see the course. Cassani also gave his opinion on Luca Paolini’s case. The coach had always regarded the Katusha rider as an example for the youngsters.